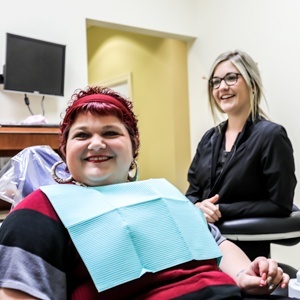 Complete dentistry is an absolutely essential concept to our doctors and staff members here at Jacksonville Complete Dentistry – but what does it mean, exactly? It’s actually pretty simple. It means looking outside of just the teeth and gums when caring for a patient. For example, let’s say that a patient comes to us with teeth that are badly damaged and extremely worn down. You might expect a dentist to rebuild the dental structure and send the patient on their way – but then what would stop this problem from happening again? Instead, our doctors want to find the root of the damage and what caused it in the first place, even if we have to explore the facial muscles, the bones, the nerves, and more. Once we’ve looked comprehensively at the entire working system of your body, we can better understand what’s going on and how the problem can be permanently improved, saving our patients lots of time and money in the process. Here in Jacksonville, you can trust us to always make your overall wellbeing a top priority. Contact us today to schedule your first appointment!